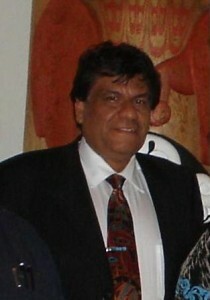 Robert Morales is Coast Salish and a member of Cowichan Tribes. Robert had a private law practice since 1987 specializing in the areas of First Nations’ rights, criminal law, family law, and child protection. He has appeared in the provincial, supreme and court of appeal, as well as federal court. He has extensive negotiation experience with many First Nations in their dealings with both the Federal and Provincial governments. Robert has worked with the HTG member nations to develop a governance and constitution framework vision and document. He has assisted in the development of policy for First Nation organizations.He is also the lead person for the current Hul’qumi’num Treaty Group petition before the Inter American Commission on Human Rights and as the Chair for the Summit Chief Negotiators which is composed of about 47 negotiating tables. The Summit is the First Nations organization under which the First Nations in BC are organized to engage in the BC Treaty process. He has been a lead participant in the establishment and serves as a spokesperson of the Common Table for the BC Treaty Negotiation Process.